Members of the UCLA ROTC unit, the Bruin battalion, working on the “Leaders Made Here” virtual reality Army recruitment video. 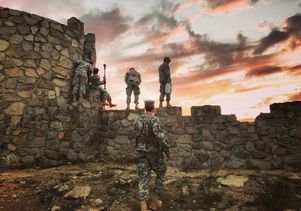 The UCLA Army ROTC is working to inspire people to choose the U.S. military as a potential career path. 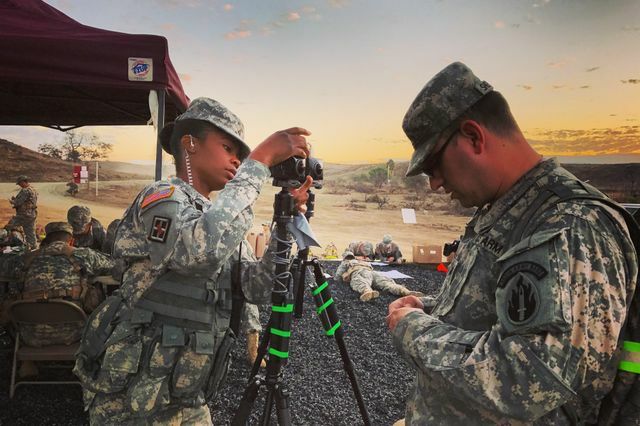 Students from the current Bruin battalion appear in the Army’s first virtual reality recruitment video, which can be viewed through nearly any virtual reality viewer, including Google Cardboard, Samsung Gear VR, HTC Vive or Oculus Rift. 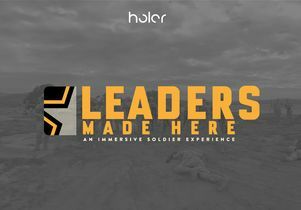 The video, titled “Leaders Made Here,” was created via collaboration between the UCLA Department of Military Science/Army Reserve Officers Training Corps, and Holor Media, a virtual reality company based in Hollywood and led by former executives from Disney, Pixar and Industrial Light and Magic. The six-minute immersive film gives viewers a chance to live life as an Army cadet participating in a field training exercise. 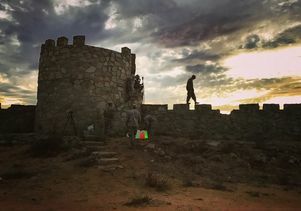 It was filmed at Camp Pendleton near San Diego and features students from the current Bruin battalion, which is made up of students from UCLA as well as other nearby colleges that don’t offer ROTC. Interspersed with real testimonies from college students enrolled in the program, the viewer is given a chance to take part in land navigation, medical training, Army ceremonies and even an obstacle course. Members of the UCLA Army ROTC program hope this video will increase awareness of the opportunity for college students to join a nearly 100-year-old tradition of service by joining the Bruin battalion and becoming a United States Army officer. Video director Brian Tan believes a series of shorts like this could be a recruiting game changer. Tan is a UCLA alumnus who graduated in 2010 with a degree in political science/international relations. 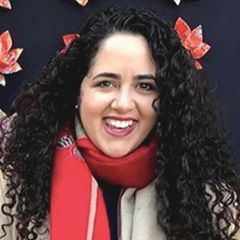 He also started UCLA’s first film and photography club which just celebrated its 11th anniversary and filmed the first video featuring the Bruin battalion in 2009. Tan also worked with the current students on a 100-year anniversary video that will be released soon. 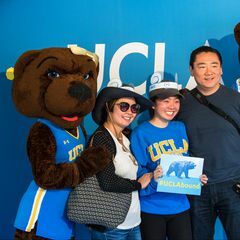 The students featured in the video are all UCLA juniors: Ainara Manlutac (majoring in chemistry), Edwin Chang (majoring in geography/environmental studies), Daisy Guilyard (majoring in political science), Louis Bethge (majoring in Russian studies), Kiana Malcolm (majoring in political science). All of them are expected to join the U.S. Army after they graduate in 2018. Members of the Bruin battalion working on the “Leaders Made Here” virtual reality Army recruitment video.